In the past few years, we have seen Malaysia developing into an investor-friendly nation. This is all thanks to its growing economy which has seen the country transformed from being merely a raw material exporter to one of the prime and emerging market economies in Asia. With this dramatic growth, many local and foreign investors have become open and active in all manner of investment vehicles, including forex trading. Since Malaysia is predominantly a Muslim nation with at least 60% of its citizens following the Islamic laws and associated religious beliefs, this alone makes it one of the prime contenders for an Islamic Trading account. Still, there are several facets of Forex trading that are against some core Islam values. This dictates the need for Sharia-Compliant FX brokers. Secondly, the Malaysian administration has enforced several limitations on trading the Malaysian currency – Ringgit. Nonetheless, Malaysian Forex traders can still indulge in this trade, provided they abide by all the nation’s laws that govern Forex trading and investment. 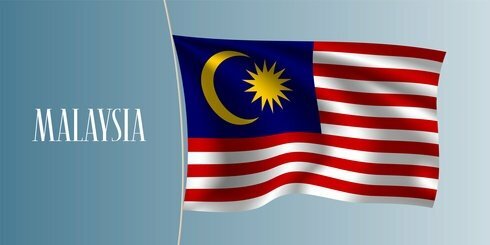 Is trading Forex in Malaysia legal ? Yes. Initially, the Malaysian government had forbidden Forex trading, terming it as a criminal activity. If a person was found trading Forex, they risked being charged hefty fines and in serious cases, incarceration. However, over the last few years, Malaysia has slowly but steadily opened up to FX trading. However, the whole FX trading concept is still in the basic stages of developing. Are Malaysian Forex brokers regulated ? There are various regulatory bodies all over the world that oversee the Forex market to ensure that the brokers meet a certain standard. However, in Malaysia, as far as the regulatory agency is concerned, it is still undergoing changes and development. So far, there is still a lot of confusion concerning the actual regulatory body for Malaysia Forex brokers. The Central bank of Malaysia, also known as Bank Negara, manages the Ringgit, while the Securities Commission of Malaysia overseas financial companies. Still, there is no particular national agency that is tasked to regulate Malaysian Forex brokers. This is because the country has not revised its rulebook to include the idea of Forex trading into its governance framework. If you are looking to invest in Forex trading in Malaysia now, things are looking up. You no longer have to worry about landing in jail. As the popularity of Forex trading grows, so does the choice of reliable brokers available. Since Malaysia has very hazy regulations when it comes to Forex trading, it is crucial that you choose a reliable broker. The absence of a regulatory body makes choosing a Malaysia Forex broker risky for investors since there is a substantial amount of potential scams and broker loopholes. Also, there are many companies that have based their Forex operations in Malaysia to siphon money from unsuspecting traders globally. The lack of a regulatory body also prevents Malaysian authorities from overseeing the trading activities of Forex brokerage firms, since they are at liberty to establish their headquarters anywhere they want in the country. Hence, the Malaysian authorities can only interfere if found Isolation of the country’s laws regarding trading Forex to its citizens. There are honest and reliable FX brokers in Malaysia who offer trustworthy Forex brokerage services that provide a secure trading environment for traders. These brokers are totally void of any criminal or financial malpractices. To find the best Forex broker in Malaysia, you should be ready to put in some effort to research the numerous Malaysia Forex brokers available in the market. Understand how they operate and take the time to read reviews left by previous clients or ask people about their experience with them before deciding to invest with them. The bottom line is that you need to choose a broker that guarantees the safety of your money. Here are 5 things you need to check out when choosing the best Malaysia Forex trader. Regulation: Choosing a regulated Forex broker is crucial when trading currencies. Since there is no regulatory body in Malaysia, you can opt to use a broker that is regulated by international organizations like those from the UK, US, EU, Australia, Japan or even Singapore. Note that choosing a broker near you gives you an upper hand in terms of receiving support. Availability of SWAP- free Islamic trading accounts: Since the majority of the traders in Malaysia are Islam, the potential broker should be able to offer exclusive SWAP-free accounts, especially if you are Malaysian. Hence, if you are a Muslim trader, and are looking for a Sharia-compliant account, discuss with them about their Islamic trading account offering first to confirm that you are okay with it before hiring them. The speed of Payment: As a trader, your main aim is to make consistent profit from all your Forex trading ventures. In return, a reliable broker should make sure your profits are available and that you can access them without encountering any restrictions. It might take you a while before you find a Forex trading company in Malaysia that facilitates easy and secure payments. By choosing a regulated company, you eliminate any worries about the security of your funds. Performance of their trading platforms and trading products: A trading platform is an important link between you and the markets. Hence, your aim should be to find the best performing trading platforms with consistent reliability and top performance. Selection of trading accounts: Different brokers offer different types of trading accounts, according to the geographical location. Asian and European Forex brokers are known to offer smaller trading accounts with lower minimum capital requirements, whereas US brokers have higher trading capital requirements and several restrictions on trading. Your choice of a Forex broker should, therefore, be able to offer you an account that meets your trading needs. As a new player in the Malaysian Forex trading market, you are advised to take your time to study the market before investing real money in it. A little research when choosing your ideal trading broker will go a long way in protecting your investment.